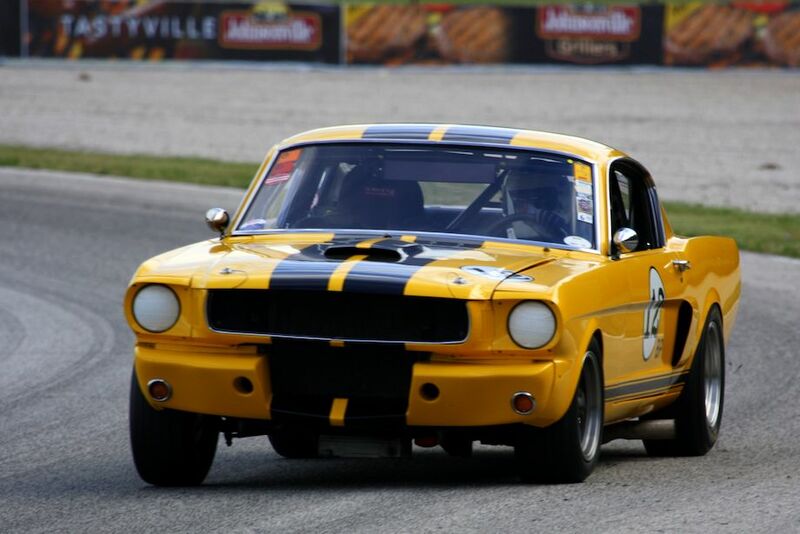 The Hawk at Road America with Brian Redman was held July 18-21, 2013 at the famed 4-mile, 14-turn Road America road course in Elkhart Lake, Wisconsin. 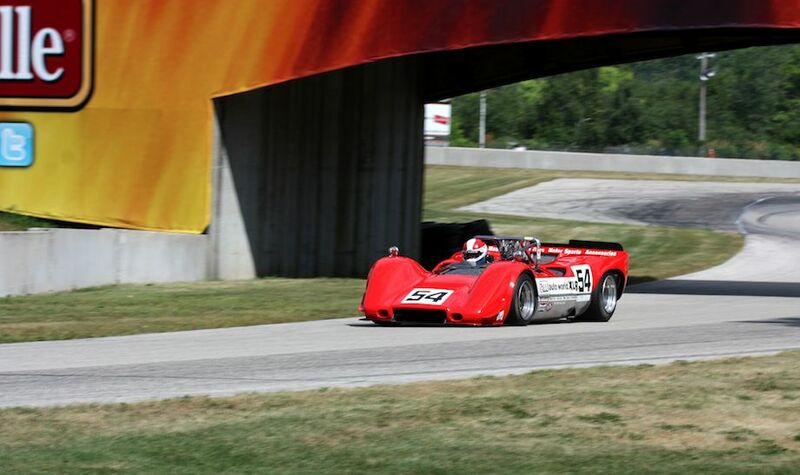 Formerly known as the Kohler International Challenge or KIC, the historic car races featured 450 cars competing in eleven groups throughout the weekend. 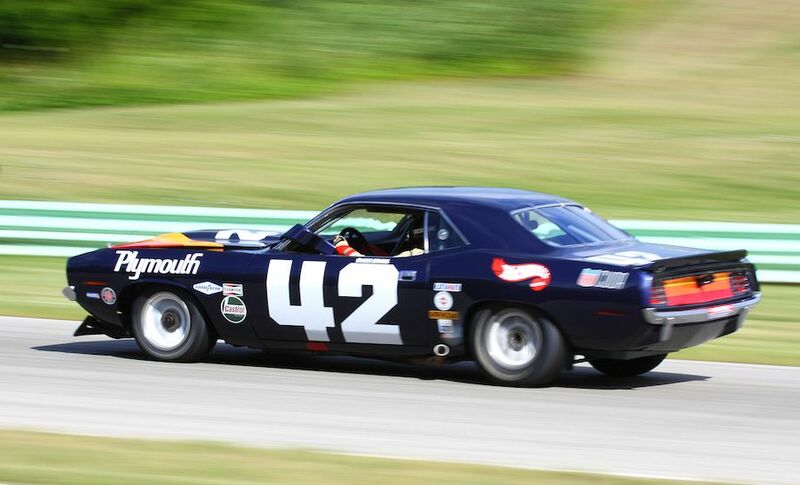 “It’s the combination of the revered Road America circuit, a gorgeous backdrop with the village of Elkhart Lake for the Friday and Saturday Nationwide Insurance Concours d’Elegance, the beautiful mid-summer Wisconsin weather, as well as the enthusiastic crowds and tremendous entry of cars,” said Brian Redman. 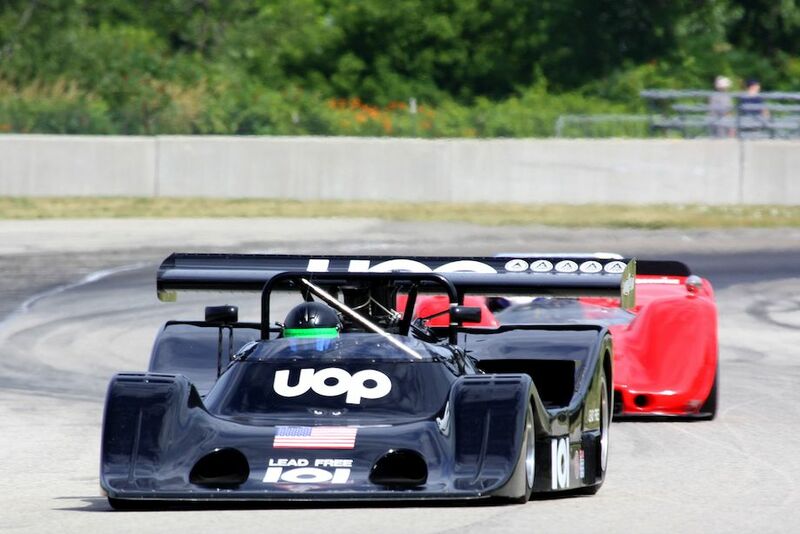 The field for the 2013 running of the Hawk at Road America with Brian Redman could best be described as interesting and diverse. Group Three, Vintage Sports Racing Cars and Vintage Production was perhaps the most interesting, with nimble Lotus 23’s racing against a 1954 Lincoln Capri in Carrera Panamericana colors. That group also included Scarabs, Ginettas, Bobsys, Devins, Cheetahs, Porsche 908s and 910s, a Ford GT40 and more. 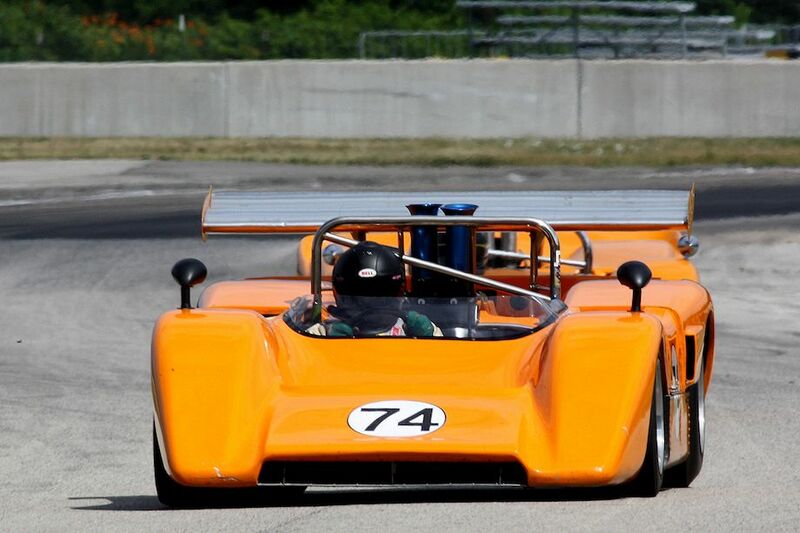 Other notable entries included a Porsche 917K in Martini Rossi colors, a lovely Jaguar XJR-5 in Bob Tullius’ green and white Group 44 livery, a 1969 Eagle, a Shadow DN4 Can-Am and more types of McLaren Can-Am cars than there are fingers on your hand. Historic Formula One cars were very well represented with March 761s and 811, Shadow DN8 and DN9, Lotus 77 and 79, McLaren M23 and M29, Ensign N179 and a Hill GH1. A 1997 Benetton and 1997 Williams were Screamingly fast and loud. Brian French in the Benetton B197 set fastest lap of the weekend, averaging over 128 MPH for the lap. 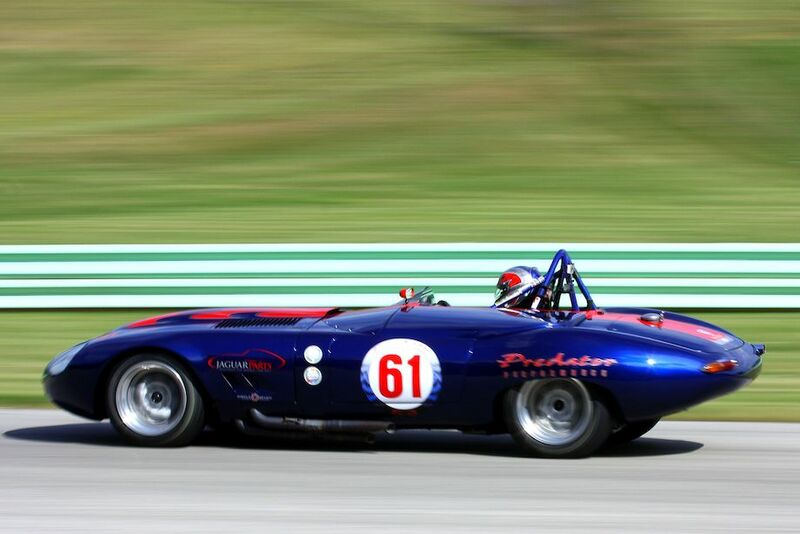 The event also celebrated the 60th anniversary of the Corvette with a feature race that included nearly forty Corvettes, ranging from the 1954 to 2006 model years. John Goodman brought an ex-Greenwood Corvette. The racing is always fun to watch simply because of the diversity of cars on the track, and as always, there are some heats that provided good competition. 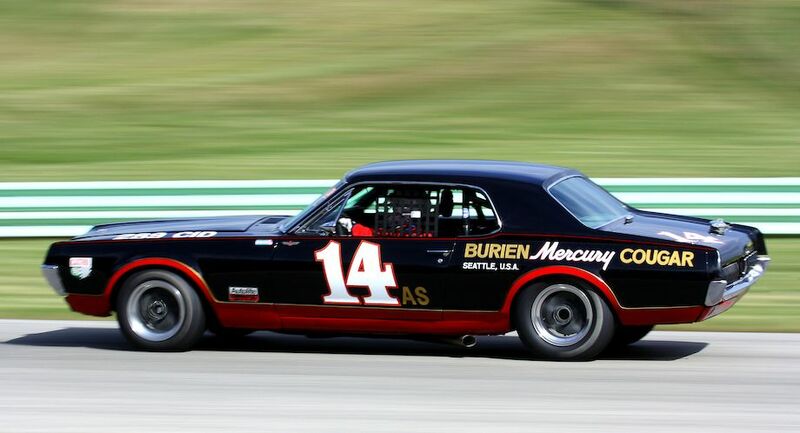 In Group Two, there was a five-car battle for 5th place with Donald Eichelberger in a 1970 Datsun 510 prevailing over an Alfa Romeo Spider, an Austin-Healey 3000 and two Porsche 356s. They all finished within two seconds of each other. Yet, the race of the weekend was the Group 11 qualifying race where Duncan Dayton in his Lotus 79 F-1 car and James King in his 1976 March 761 F-1 passed and re-passed each other several times on the last lap. They came up the front straight side by side, with Duncan in his Lotus prevailing by 0.015 seconds. Weather seems to have been a big topic in the United States this year. 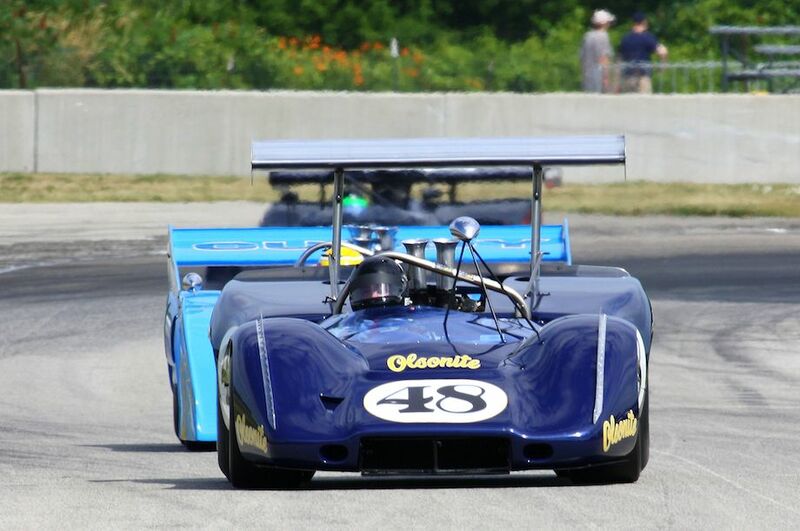 The 2013 Hawk at Road America with Brian Redman started under very hot conditions on Thursday and Friday, but it turned beautiful for the weekend. That is until about 3 pm on Sunday when the rain came. Group Eight was on the pre-race grid when the rains came, and though 26 cars followed the pace car on the warm-up lap, eight pitted before the green flag fell and another five pitted after the first lap. The final three races had a total of 13 cars in them. There are many stories in an event with over 400 entries. Perhaps the unluckiest man of the weekend was Paul Swanson. The winner of this year’s Group Two races at the Mitty Speedfest towed his Porsche 356 from South Florida, over 1,500 miles away. On Thursday night he became ill and was unable to race for the whole weekend. On Sunday’s Group Three race, Lorrie-Ann Fisher in her 1954 Lincoln Capri was one of only five starters. One of those started after two laps were run and Tony DeLorenzo’s Scarab developed ignition problems and dropped out, so Lorrie and the old Lincoln finished third overall, and made it to the podium. It was a nice ending to the weekend. 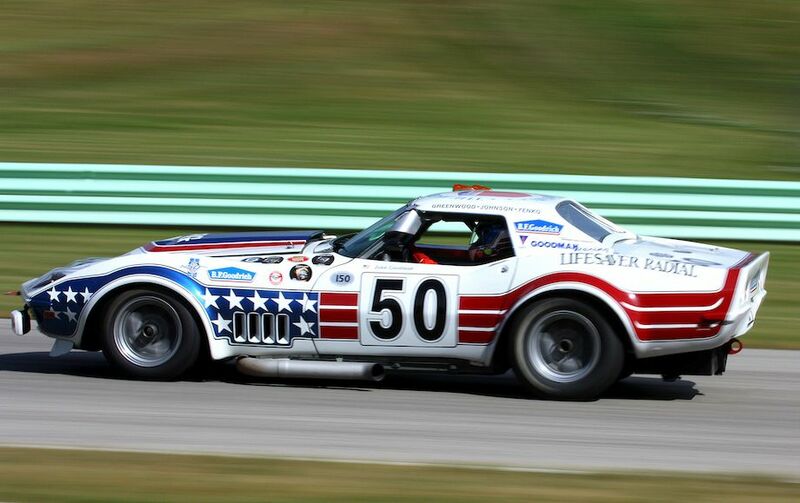 Similar to our 2012 race coverage, photographer David Ferguson also documented the 2013 running of the Hawk at Road America with Brian Redman, offering the following picture gallery that shows the strong field of entrants, in addition to the views found on the epic road course in Elkhart Lake. We split up David’s 255 pictures into two galleries. The first gallery starting below features our favorite images, all displayed in the full-width view of Sports Car Digest, while the second gallery (and race winners) can be found on the last page of the article and gives a comprehensive view of all the photographs. 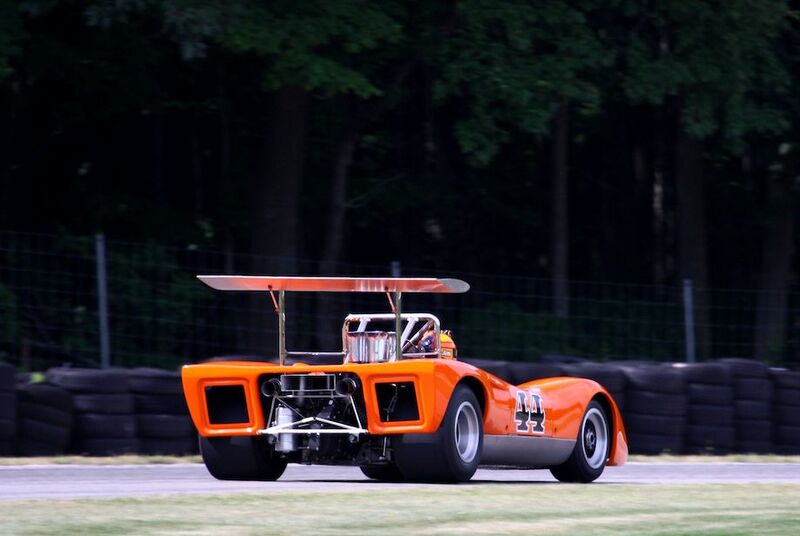 Beautiful photography (a constant in Sports Car Digest)! Lorrie-Ann had a ball out there, thanks for the kind words. Congrats to Silo and Lorrie Ann – fantastic result…must be that ISOA training !!! Mucho congrats to Silo and Lorrie Ann..fantastic results..Must be that Team Bondo and ISOA training!! The photography is great and the cars magnificent. It’s good to see some of the fantastic cars and drivers from the North West. Kudos to David Ferguson for excellent work. Just a shame we can’t hear the noise to go with the pictures……great site!